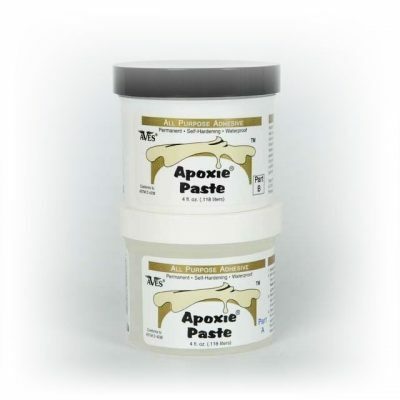 Apoxie® Paste is an innovative adhesive medium used to permanently fill, bond, seal, customize & fabricate most materials. Batter-like consistency is stir-able, yet thick enough that it tends to stay put; spread thick or thin with a tool or craft stick. Tint with pigments to create a desired color. Smooths with water to a semi-gloss finish. 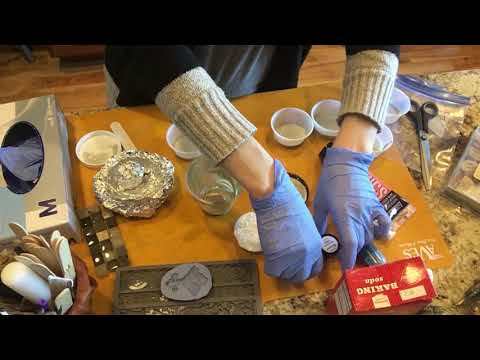 Great for arts & crafts, jewelry, stone setting, taxidermy, casting with flexible molds & more. 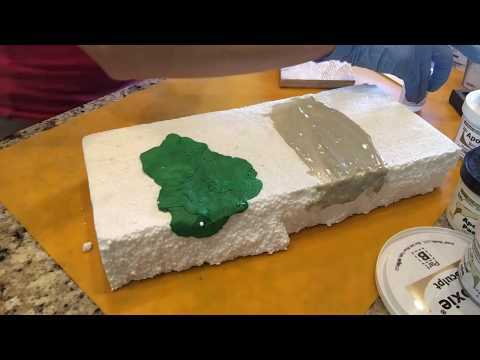 Apply to foam or other materials for a hard surface coat, to add texture, or embellish. Use as an adhesive for many projects! Adheres to: Itself (in any stage of set up before or after curing), other epoxies, many plastics, resin, polymers, glass, metals, wood, stone, foam, & more. Arts & Crafts; Antique Restorations; Glass Art; Jewelry; Manufacturing; Stone Setting; Home, Toy & Doll Repairs (egg shell cracking & crazed eyes); Scenery & Habitat applications; Woodcarving; Wildlife Art (use as an adhesive for bonding jaw sets, preventing drumming, fish & fin repairs, bones/skulls, and form alterations); Model Making, Prototypes, Casting, & much more. Apoxie® Paste works great in flexible molds! 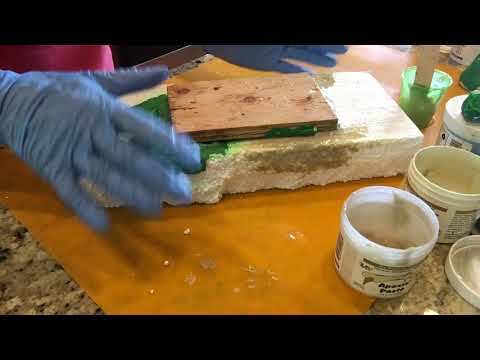 Apply to foam or other materials for a hard & durable shell, add texture to both porous & non-porous surfaces. (Apoxie® Paste does not eat foam). Cures slightly translucent when thinly applied. 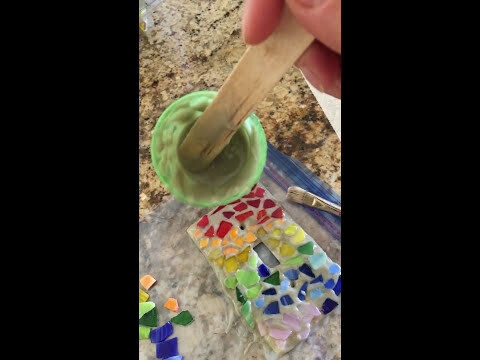 Paste can be tinted with pigments to match or create a desired color; note that adding pigments can alter products original consistency. Press texture stamps or materials such as sand or mica powder into mixed surface for additional effects. *Smoothes & cleans up easily with Aves® Safety Solvent. Apoxie® Paste self-hardens with a working time of 1-3 hours, set time is 6 hours, 24 hour full cure. Sand & paint to finish if desired. *Apoxie Paste® can be tinted with paints or colorants while mixing to match or create a desired color. Smoothes and cleans up really easily with Aves® Safety Solvent. 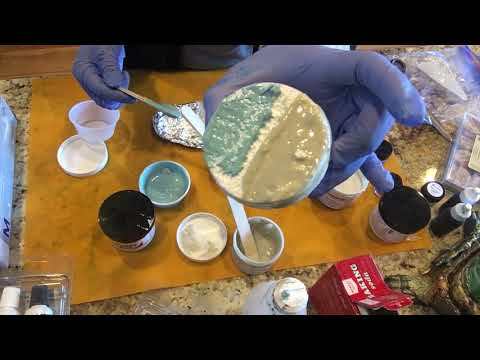 *Apoxie Paste works great in Flexible molds!